There's something fishy about this delicious punch. You have to love the fun vibe this creation gives off. 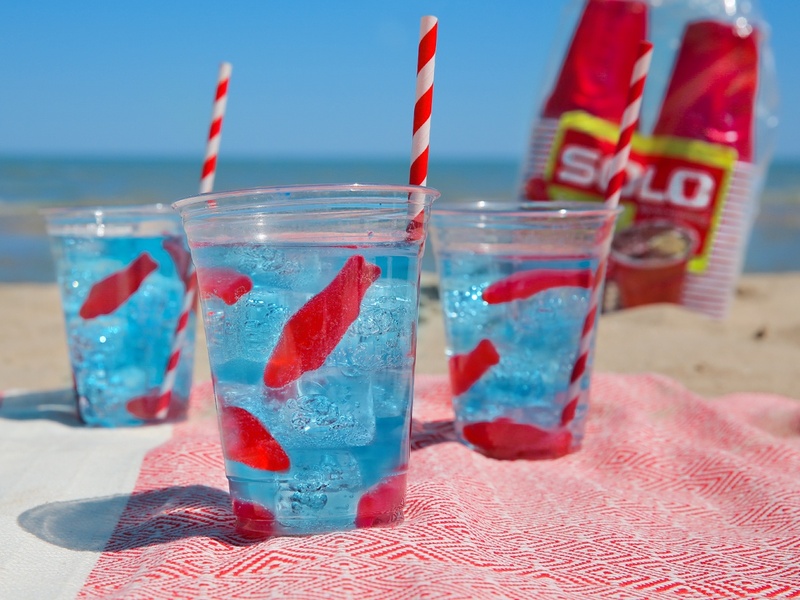 It's a clever way to tie your drinks into your beach theme or location. Everyone will smile when they look down at the aquarium you've created for them to drink. Below are both cocktail and mocktail versions of the drink. Don't forget to add the candy fish at different times to ensure they are spaced well. This drink is all about presentation. Combine the vodka and Blue Caracao in a 9 oz Solo Cup. Add swedish fish and ice. Pour the blue Hawaiian Punch into a 9 oz Solo Cup. Check out more beach party ideas here.